“Omaha is a highly enjoyable poker variant and was quite high up on our players’ request list to deliver it as a Spin & Go,” said Severin Rasset, Director of Poker Operations and Innovation. “So we’re really pleased to be able to do this and hope that it will be as popular in this format as it is in our cash games. 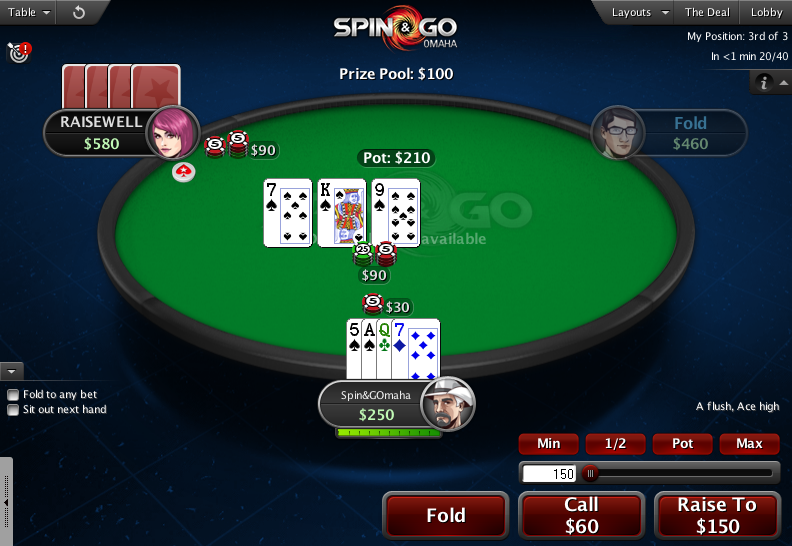 Spin & Go tournaments are fast-paced, three-max Hyper Turbo Sit & Go tournaments, featuring 500 chip starting stacks, where each tournament has a randomly drawn prize pool that will award between two and 10,000 times the player’s buy-in. 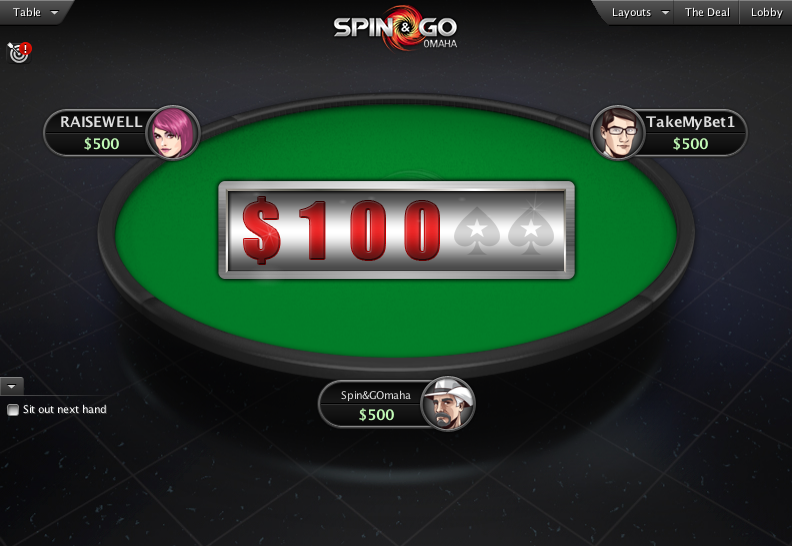 Spin & Go Omaha will be available to play at $1, $3, $7 and $15 stakes. Players will receive four hold cards and must use two of these in combination with three of the cards from the board to make their poker hand. Spin & Go Omaha tournaments will be played as Pot Limit. “Omaha is just perfect for Spin & Go,” said Team PokerStars Pro Lex Veldhuis. “There will be a lot of action because you can play so many hands, but it’s also really hard to knock people out in PLO. This will make for some very intense situations when the multipliers get high. I can’t wait to try them.” Watch Lex trying out the new format on Twitch. To celebrate the launch, an exclusive $5 Spin & Go Omaha qualifier will award winners a $10 cash prize or entry to either the $2,100 (high), $215 (medium), $27 (low) level of SCOOP Event 5. Players who win entry to the $27 (low) level may unregister and instead use the ticket in any $27 SCOOP event or SCOOP satellite. However, players who win a $215 (medium) and $2,100 (high) seat for the first time will be required to play SCOOP Event 5 Pot Limit Omaha on May 7. For any subsequent medium or high level wins, players will receive equivalent amounts of tournament dollars. Find out more about the SCOOP Spin & Go Omaha Satellite. View the SCOOP schedule here. Get more information about Spin & Go Omaha.